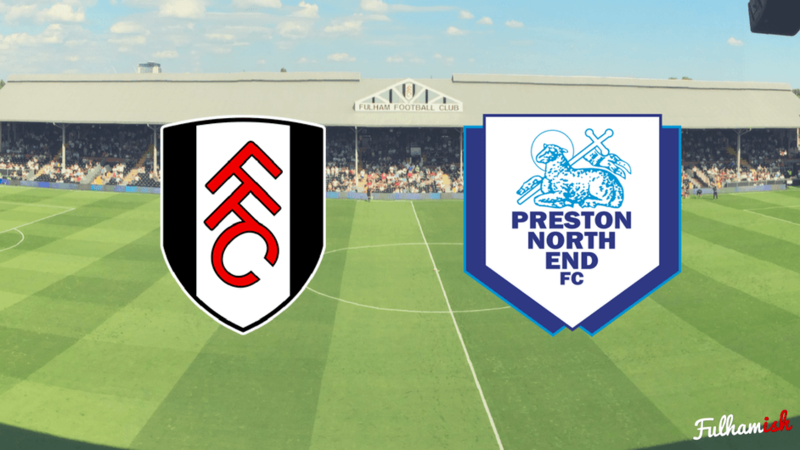 As clubs gear up for action again following the international break, Fulham face an in-form Preston North End side at the Cottage as the Whites go in search of only their second home league win of the season so far. With a heavy Irish influence in the Preston camp, they’re a team I’ve been following with keen interest. Seani Maguire, in particular, formerly of Cork City and a man who scored goals for fun in the League of Ireland, has started the season well and was rewarded by Martin O’Neill with his first Ireland cap when he came off the bench in the 2-0 victory over Moldova. His two goals and two assists so far for PNE have proved his worth, and it looks like another shrewd investment from the LoI for the Lancashire outfit. There are plenty of form players in this side though, many of whom we’ve talked about extensively. Jordan Hugill, linked heavily with a move away from Deepdale over the summer, has five goals already this season; and Tom Barkhuizen, Fulhamish’s ‘most-wanted’ from the Championship, has already got two goals and three assists to his name from his free-roaming wide role. Josh Harrop, signed from Manchester United, is off the mark as well, and after announcing his name by scoring on the last day of. last year’s Premier League season, he made the short hop from Old Trafford on a permanent deal in the summer. In reserve, Calum Robinson is a decent Championship player, and Preston look like they have the firepower to challenge opponents of all statures this season. In fact, Preston have only lost once this season, and sit comfortably on the edge of the playoff picture. Whilst they played some wonderful stuff in the last campaign, Alex Neil has the Lilywhites playing some lovely football in the final third whilst tightening up what needed tightening at the back and they look a real contender. Beating league leaders Cardiff City 3-0 was a statement of intent, and Neil’s pre-match comments suggest that PNE fancy another big scalp at the Cottage. “We are not going there to try and contain Fulham, we are going there to try and beat Fulham. Equally, each department of the game means you’re going to have to defend and you’re going to have to be able to attack”, he mused in a press conference. That should be music to the ears of Jokanovic, whose own swashbuckling style often works best against teams that come and have a go at Fulham; but it should also be a warning sign to Fulham fans who think that the Whites will have this one all their own way. Preston are on a run of form, and they fully intend to keep it going. We’re gambling on the fitness of Rafa Soares and sticking the Porto starlet straight into the lineup. Norwood and Johansen retain their places after brilliant displays against QPR, and Rui Fonte continues at the head of the spear, despite pressure from the returning Aboubakar Kamara. His impact off the bench could be crucial to the game. Neeskens Kebano remains on the bench as well, mostly because we’re excited about Yohan Mollo and Kebano has been off on international duty, although it wouldn’t sadden us at all to see the DR Congo man in the starting XI. Fulham’s right-back, fresh off his first goal for the club against Queens Park Rangers (h/t Jack Robinson), should be high on confidence right now, but he’s going to have to be at his best to contain the slick attacking movement and goalscoring ability of former Morecambe man Tom Barkhuizen. The winger arrived with little to no fanfare in November last year, signing on a free contract from a smaller local club in financial difficulty, and taking the number 29 shirt. Barely anyone paid any attention to a player signed after one decent performance against North End in a pre-season friendly. Since then, he has embedded himself as a starlet within this team, with his flexibility and commitment allowing him to be a potent weapon for both Simon Grayson and now Alex Neil. Fredericks is a potent weapon himself, with his ability to simply burn a full-back and deliver from the byline seemingly added to this season with a desire to drive inside and have a go himself. This has already come off twice for Fulham this season – as well as the aforementioned QPR strike, it was Fredericks’ driving inside run which won the free-kick from which Johansen scored the winner against Nottingham Forest. Learning to adapt his game and add to his arsenal has added a new dimension to Fredericks’ game, and whilst the full-back is undoubtedly hit and miss, his new partnership with whoever is in front of him is crucial to Fulham’s game improving over the course of the year. If Barkhuizen gets on top, then Preston will be in the ascendancy; and with his blend of creativity and scoring ability, Fulham will have issues. If it’s Fredericks bombing on down the right and attacking his opposite number, however, then Fulham will know that they are on top and back in the form which saw them go so close last time out. Keep an eye on this one. What’s for sure is that this should be a fluid, lively game packed with attacking intent and scintillating football, as both teams attempt to get the ball on the deck and play it. If Fulham can strike early, the game should open up, and a repeat of last season’s 3-1 win would be a distinct possibility. Make no mistake about it though, this one is going to be tricky, and three points would represent a significant achievement. Don’t forget to listen to next Monday’s episode of Fulhamish for all the reaction to Saturday’s game, and make sure that you’re subscribed on one of the following platforms.